When Parks and Landscapes services and grave-digging teams perform grave digging and maintenance duties, it is imperative that the work is conducted quickly, cleanly and without causing major disruptions to these sensitive and emotional public areas. 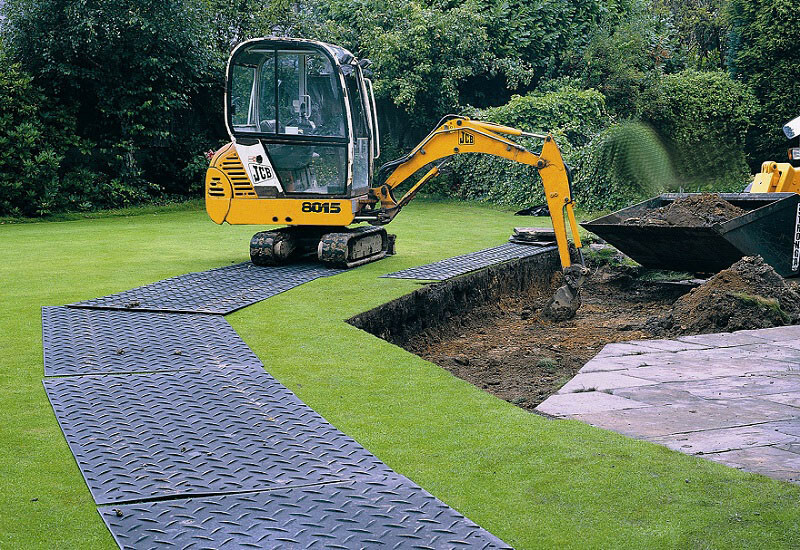 Grassed areas, lawns and verges need protecting from disruptive mini excavators and diggers, not only from severe ground rutting but also from unsightly muddy tyre tracks. 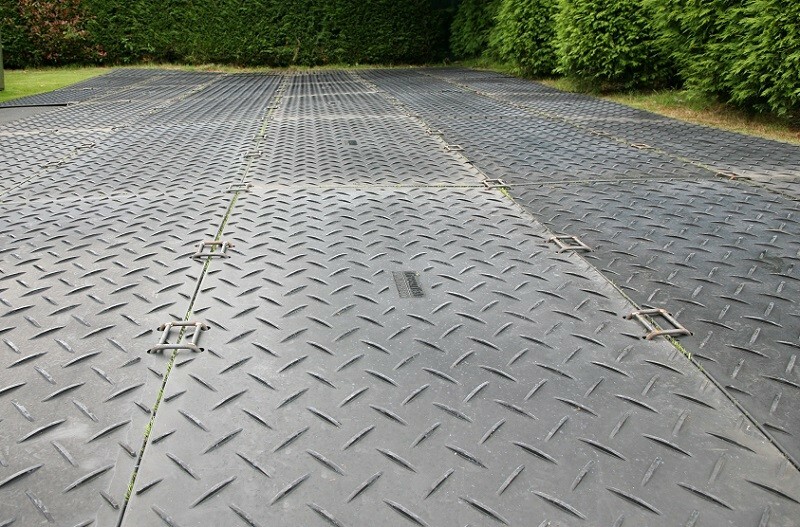 Ground-Guards recommend MultiTrack as the perfect ground protection solution. MultiTrack is portable, strong and easy to install – enabling works to be carried out quickly and efficiently with minimal disruption. 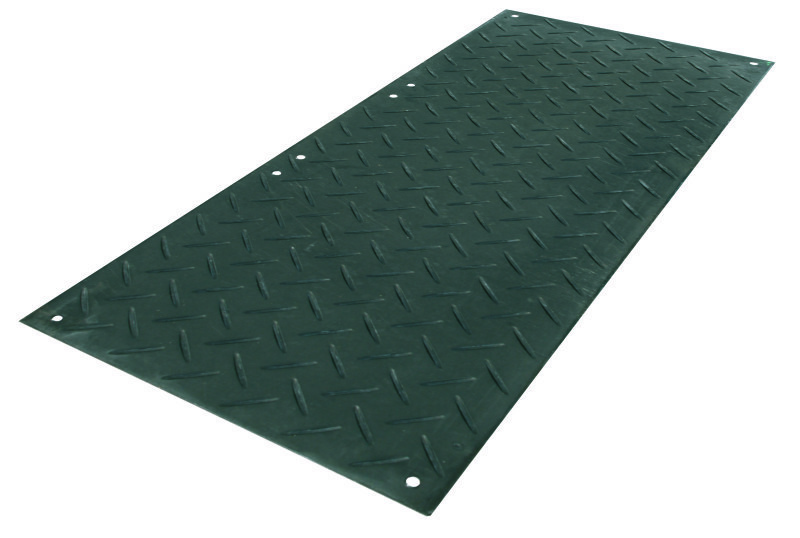 The lightweight 39kg mats can be comfortably handled by two workers, negating the need for expensive lifting equipment. Afterwards the mats can then be packed up quickly, washed off and reused for the next job – generating a winning return on investment! 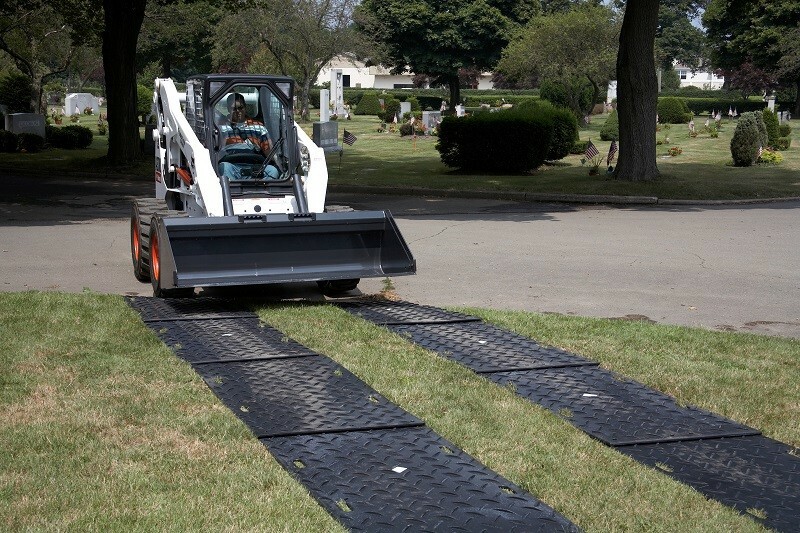 MultiTrack protects the cemetery grounds from damage whilst graves are being dug. It also prevents unsightly mud tracks dirtying the grass and surrounding areas.